The USDA Civil Rights Training is mandatory for the MTKO staff and each of our MTKO hunger relief teams that use any amount of USDA food throughout the year. It is MTKO’s responsibility to track all of our staff and volunteers that have completed the training by having them sign a certification and to keep these certifications for 3 years. The USDA can conduct two types of annual audits, federal and state, which will include reviewing all certifications of staff and volunteers. 1. MTKO mailed a letter to each team captain of the teams that use any amount of USDA food. This letter included the training information and the certification form that must be signed by each team member after they complete the training. Each team captain that received the mailing is responsible for getting all of the team members trained and certified. 2. Complete your training online by visiting the Food Bank's website. Then be sure to print, sign and return the certification page to Matt Talbot. 3. Review the training materials available on the small table by the Volunteer Coat Room at Matt Talbot. Leave the signed certification in the folder once you have completed your training. Thank you for working with Matt Talbot to complete this mandatory training. We want to insure that our Kitchen remains eligible for receiving USDA commodities. 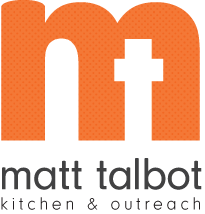 Another point involving our Civil Rights compliance at Matt Talbot: We have some guests that are not able to eat certain foods due to health reason or religious belief. Please make sure your team accommodates these individuals. Matt Talbot does keep alternative foods available for this purpose. If you have questions, please contact Sydne at 402-817-0622 or email to sydne.wirrick-knox@mtko.org.